O from LIFT11 on Vimeo. 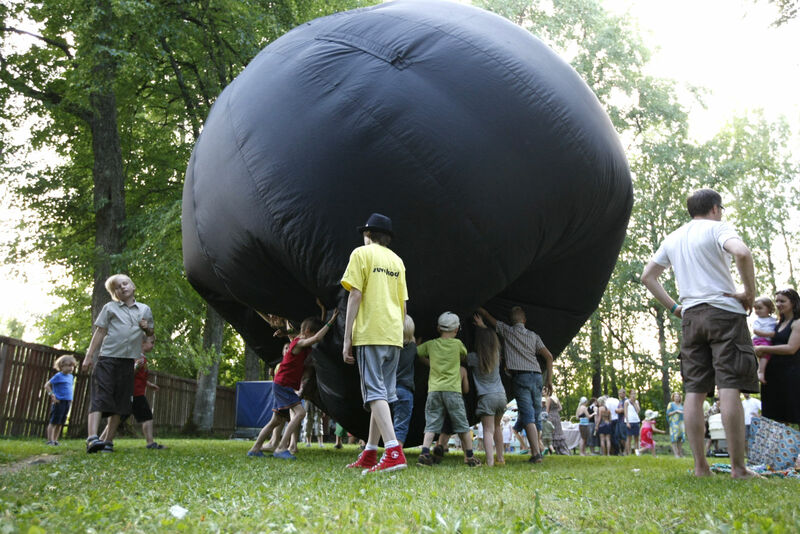 The inflatable black ball 5 metres in diameter and deflatable enough to fit in a travel bag was both an event and an object in various places throughout the summer, serving as a reference and a measure for its surroundings. 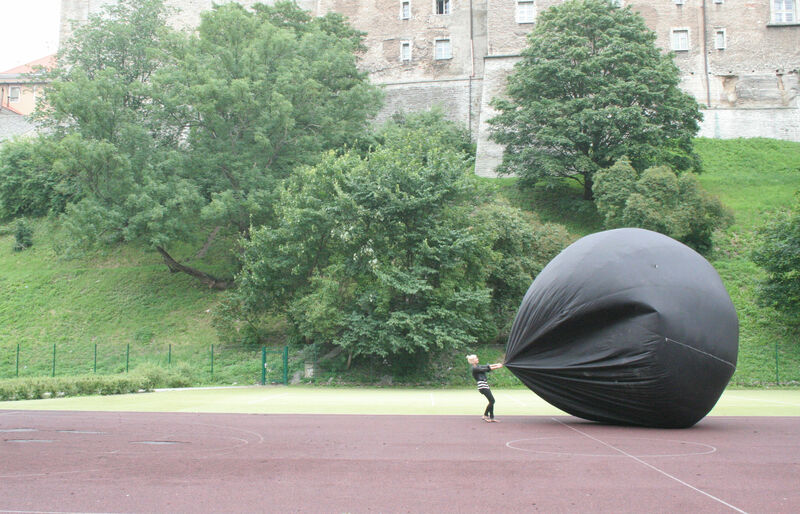 As an ephemeral black body, O was looking for its variable meaning in the surrounding space and in the minds of those who experienced it. Within a narrow space or in comparison to the human body, it was big; in a large open space or next to a block of flats, it appeared small; compared to a granite statue, it seemed volatile; fluttering in the strong wind, half-deflated, it was like a natural disaster out of control; for passers-by moving in tune with the city traffic, it was a philosophically slow process of unpredictable duration. Besides Estonia, O also popped into Helsinki, Moscow and St. Petersburg. Kaarel Künnap is a poet awaiting his official publication who studies Architecture and Urban Design in the Es-tonian Academy of Arts. He has participated in a limited number of diverse joint creative projects with different co-authors and worked for two architecture studios. 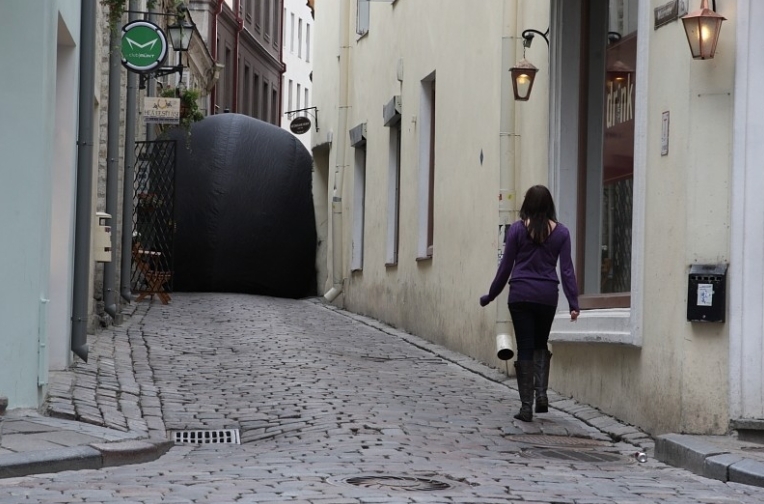 In 2010, Andra Aaloe, Aet Ader, Flo Kasearu and Grete Soosalu carried out three art projects as part of the series of events ’52 Surprises and Ideas’: social sculpture Queue Up for Art, installation Pool and action Count-down to Start at the official opening of the Capital of Culture.